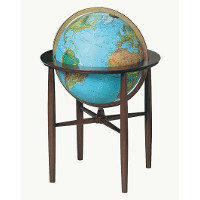 This assortment of Floor Standing Globes will complete any office or school. Keep floor Globes of the world in your home or library for quick geography references. A Replogle floor Globe and National Geographic Globe accurately shows off medians, boundaries, topographical Globe features, and more. 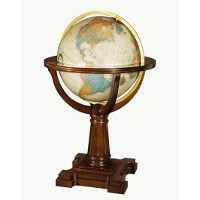 Antique floor Globes and blue ocean Globes complement any d�cor to make a perfect fit for the office or classroom. 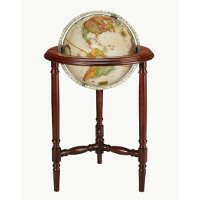 Having a floor Globe with stand that converts to a table top Globe is convenient for moves and redecorating. 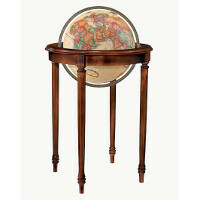 There is a floor Globe with brass stand for more antiquity. 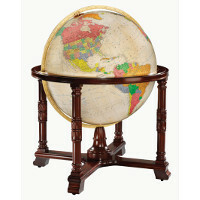 Also, check out all of the large floor Globes that come with 4 legs, as Globes on pedestals, and as Globes on wheels. Illuminated floor Globes and topographic Globes with LED Lights make it easy to explore the world from the comfort of your office. 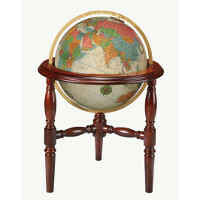 For more Globes, check out the Tabletop Globes and Desk Globes, all of which fit nicely on desks and tables. 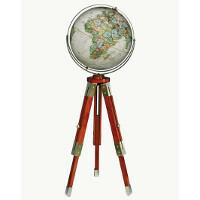 Let Replogle Globes and other Globes show you the world!